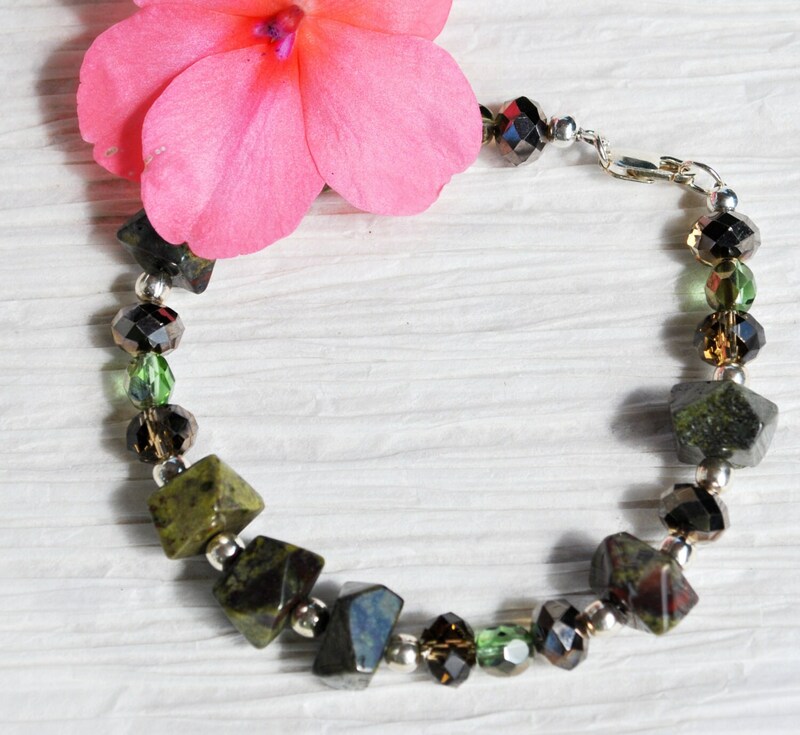 An eye-catching forest green bracelet sure to please! 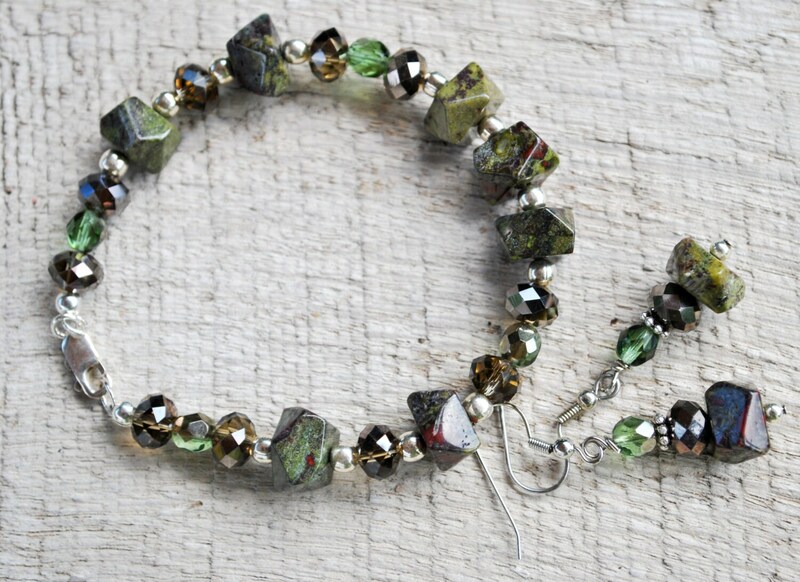 This beauty is created with Dragon Blood jasper stones cut at angles, sterling silver round beads, green crystals and Czech glass beads. Sterling silver lobster clasp. Dragon Blood Jasper is a member of the quartz family (chalcedony). 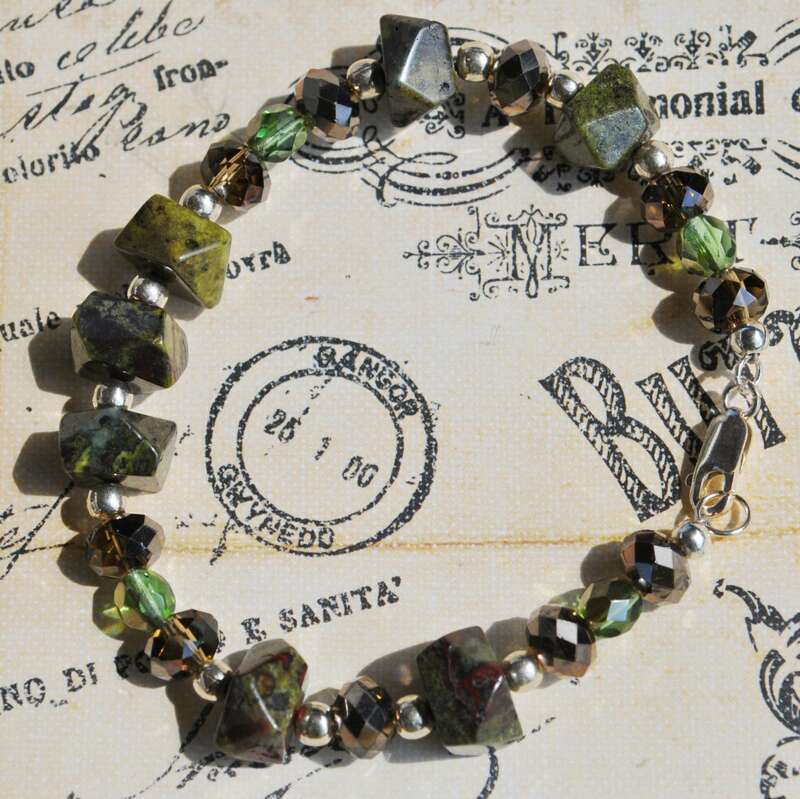 It is a fantastically patterned gemstone with deep red tones of matrix joined with a combination of forest green hues. Dragon Blood Jasper is found only in western Australia. Local legend there says that the stone is the remains of deceased ancient dragons – the green being the skin and the red the blood.